Unfortunately there is very little information available regarding this obscure Wollongong release from 1984. What information we do have, we've taken directly from Paul the Stockman's brilliant Australian Folk & Bush Music & Musicians blog. 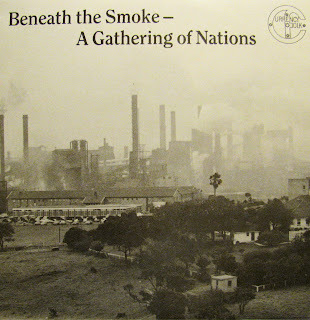 What we do know is that Beneath the Smoke was curated by Kevin & Beth Baker (members of The Currency Folk Bush Band) with the assistance of the then newly-revived Illawarra Folk Club. Formed in 1979, the Illawarra Folk Club has long promoted traditional and original folk music in the area, as well as supporting an ideologically positive view of multiculturalism as this independently released LP demonstrates. 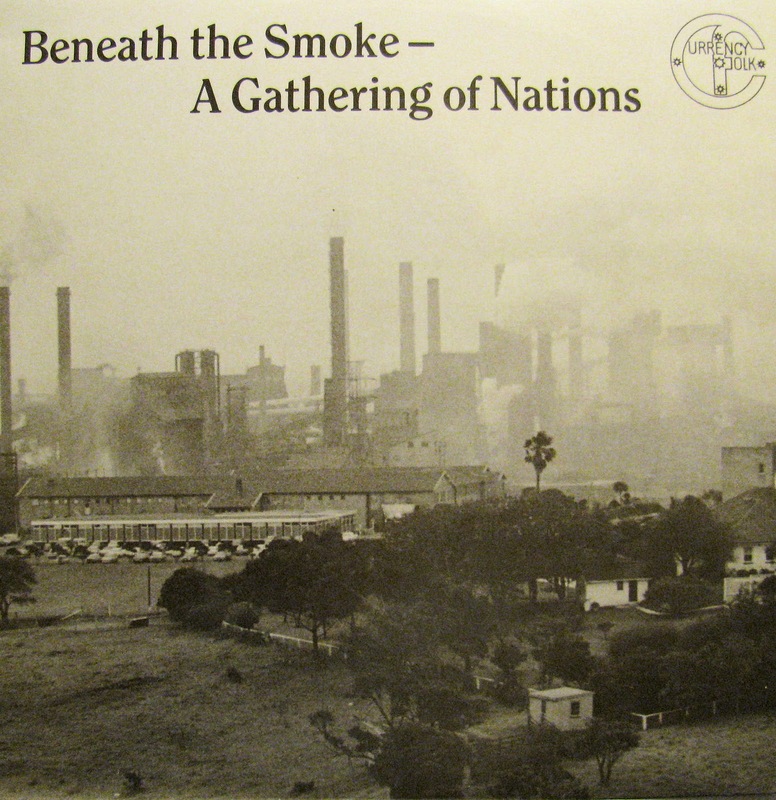 Beneath the Smoke draws from five different nationalities performing a mixture of traditional songs and modern compositions, and naturally, the topics covered are as varied as the nations involved in the project. The Billabongers tell the history of the original Sydney rabbiters, while Kevin Baker keeps it local in his song about the infamous Kemira strike of 1982, where BHP sacked 400 of its' workers following a profit of $300 million the previous year. Internationally, Beneath the Smoke features Latin American protest songs, traditional English ballads, and a quaint ode to life and its' many glories. Biographical information of each artist is included in the liner notes together with lyrics for the Chilean and Italian songs (with English translations) the giving the performances context in which to tell their stories. Special thanks must go to Paul the Stockman for permission to re-post this album. If anyone has any additional information on this release, Steel City Sound would love to hear from you via email.